When it comes to the brave men and women service in the emergency medical service, they need tools which are designed to help reduce the time it takes to save lives. It might seem surprising to some people, but the simple shirt that they are wearing has also been tailor made to ensure that they are able to save precious seconds when it comes down to saving a life. The shirts they are wearing reduce the time they need to get the job done, and love ones or family members that have service man serving right now are able to purchase one. Running a search on the internet will bring up a large amount of websites that you will be able to purchase these shirts from. 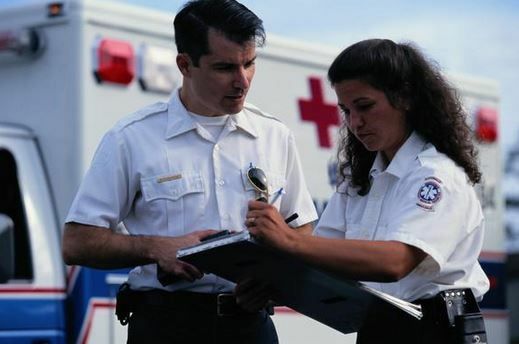 However, you will have to bear in mind that ems uniforms Blauer has to offer have passed all strict testing that goes into making the best possible shirt for the people serving can wear. While other sites might just give you normal shirts, with logos printed on them. The shirts that they have designed has been proven to not only give free range of motion to the people wearing them, they will also provide the best comfort when worn under heavy gear. The range of motion that ems uniforms Blauer offer is something that is vital when ems members need to get into awkward positions to help a person in need. You might think that most shirts will be able to handle this, but the normal everyday shirt that is worn actually restricts movement at a certain degree. This is one key factor that makes ems shirts different, and also one of the key factors that help reduce the time they need to help a wounded person. Another factor that rarely comes to mind is the comfort that these shirts provide. Ems might have to wear special gear that allows them to gain access to areas that are dangerous. Wearing a shirt underneath those gears is something that most people don’t think about. If a normal shirt was worn under that gear, heat will start building up and the ems members might start to feel uncomfortable. While some people might think that this is a small issue, everyone will agree that no one will want a doctor performing surgery if they are not comfortable. This specially design shirts will allow ems team to focus better on their job at hand, which in turn saves more lives.